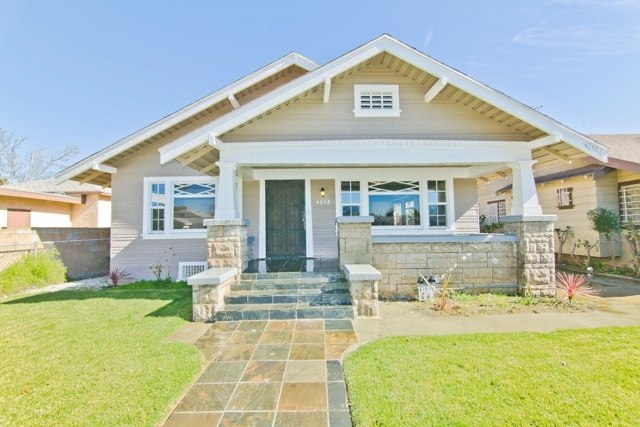 Represented Seller Sold 30k Over Asking – Get 2 for the price of 1 with this updated craftsman duplex with original charm. FRONT HOUSE offers 3 bedroom & 2 full bath. It features an updated kitchen with granite counter tops, custom cabinets and ceramic tile floors. It also features updated bathrooms, freshly painted throughout, new windows, new roof, wood floors in living/dinning area with original built-ins, new carpet in hallway and bedrooms. REAR HOUSE offers 2 bedroom & 2 full bath. 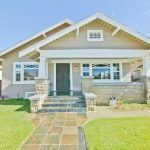 It features a remodeled kitchen with granite counter tops, custom cabinets and ceramic tile floors, laminate flooring in both bedrooms, updated bathrooms and new windows. Both units also feature new exterior paint and landscaping.